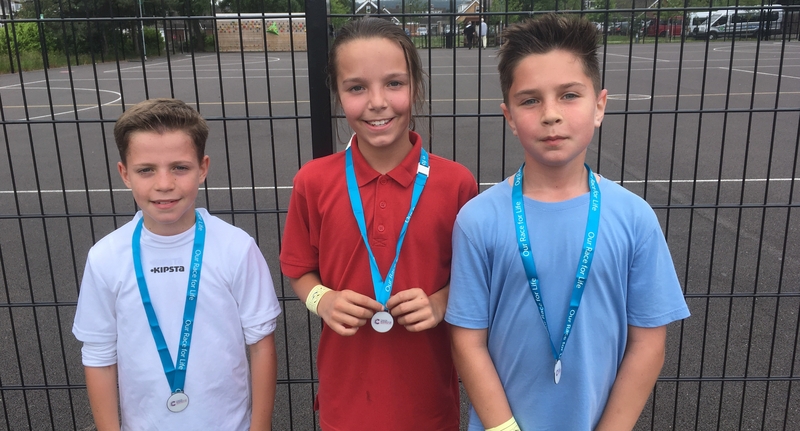 Having successfully being awarded Gold for 5 consecutive years, Burlish Park are one of 104 schools nationally to now have the Platinum School Games Mark. This demonstrates the school ethos regarding PE and School Sport and its vision and passion around the subject. We strongly believe in the link between healthy bodies and healthy minds and are aware of the positive contribution PE and Sport can play in the all round development of the pupils. The curriculum is broad, balanced and up to date and it is designed to enable pupils to become physically literate as they leave Burlish Park. Pupils develop their fundamental movement skills in the early years (locomotion, stability and object control) and as they grow they combine these skills into complex movements before applying these skills into sport specific areas as they reach year 5/6. Each class has one of their two PE lessons taught by a specialist PE teacher ensuring high quality teaching and learning. The other lesson is taught by the class teacher who is mentored and assisted by the specialist. There are numerous opportunities for pupils to represent their house at over ten different sports throughout the year as well as participating in leadership opportunities and attending festivals and competitions. The school has links with a number of local sports clubs and we often have coaches in to provide the pupils with different experiences including golf, squash, tennis, cricket, rugby,football, lacrosse and athletics to name a few.  Abseiling and climbing at Malvern Elements Education Centre.